Main buffet restaurant serving local and international foods for breakfast lunch and dinner. 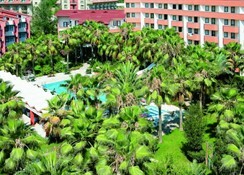 Large pool with seperate children's section, water slides and indoor pool. Ensuite guestrooms feature TV, telephone, safe (with daily charge), minibar, air-conditioning, hairdryer and have balconies. 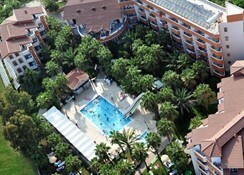 Free of charge activities: Tennis court, Table Tennis, Beach Volleyball, Billiard, Dart, Table Football, Sauna, Mini Club (4 -12 Years), Animation, Disco, Sun bed with mattres and umbrella, Towels provided. Chargeable activities: Water sports (Jet-Ski-Surf), Tennis Court floodlit), Massage, Hairdresser, Laundry, Fresh Fruit Juice, TUerkish Coffee. 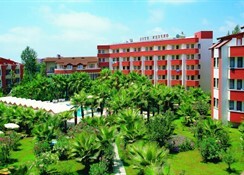 Orfeus Park Hotel is a lovely 5* All Inclusive hotel near to the popular resort of Side. It provides a good range of facilities including sports, activities and relaxation, and is within minutes walk from the nearest beach. 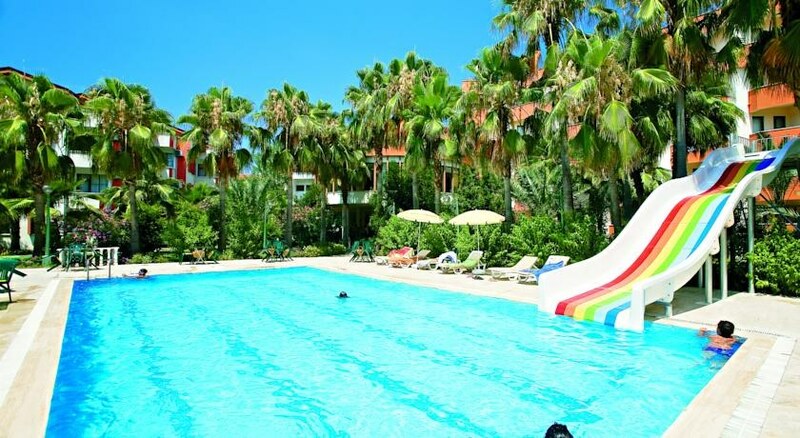 Children have their own pool, water slides, playground and miniclub. With good quality food, a friendly atmosphere and excellent service the Orfeus Park is a great value family holiday hotel. 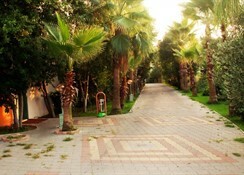 55 Km to Antalya Airport, transfer takes 60 Minutes. 9 Km to Side. 350 m to the Beach (Free Shuttle Service).